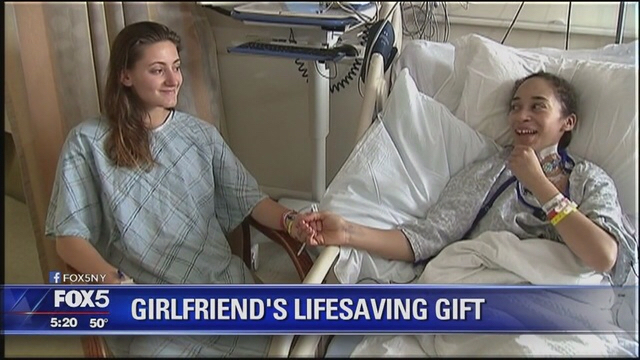 It took a moment for Alana Duran to realize that this wasn't an ordinary gift from her girlfriend. At the bottom of the box was a message she'd seen before: "it's a match." Alana met her girlfriend Lori on Tinder. But this match meant so much more. For Alana, who was suffering from lupus and was on dialysis, it meant someone was saving her life. Alana posted the video on her Facebook page back in November and it's since gone viral, getting over a quarter million views. Lori's surprise to her girlfriend -- someone she had only met weeks before -- that she was a match to donate her kidney.